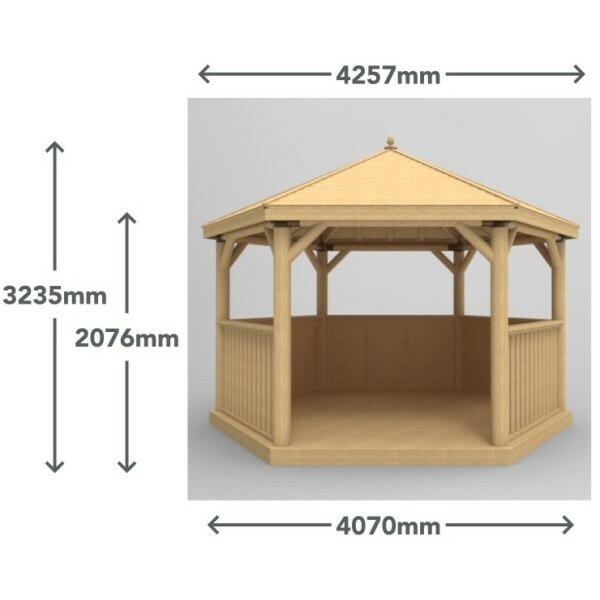 The 4m Hexagonal Gazebo from Forest is a premium quality outdoor retreat, perfect for alfresco dining or entertaining for a large group thanks to its substantial internal size. 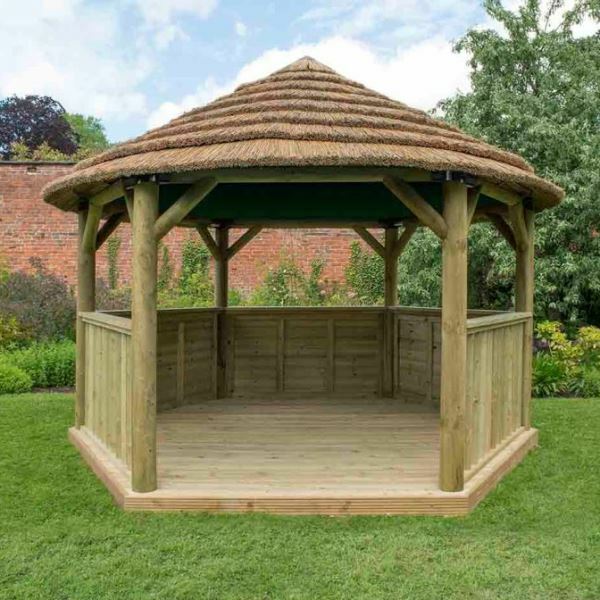 All of the gazebo uprights are made from smooth sanded, kiln dried, pressure treated timber providing a robust, splinter free finish. 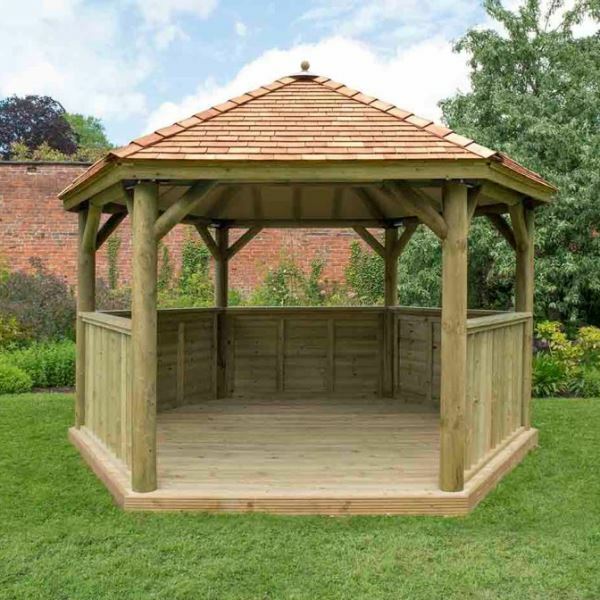 The balustrade infill panels surround the timber deck boarded base to enclose five sides of the structure leaving one open for entry/exit. 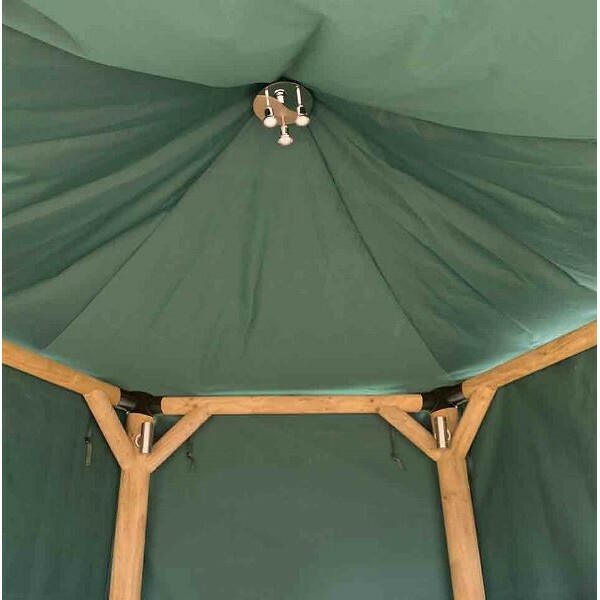 To offer further support to the roof, powder coated metal corner braces are located at the top of each upright, firmly securing each component and adding contemporary appeal. 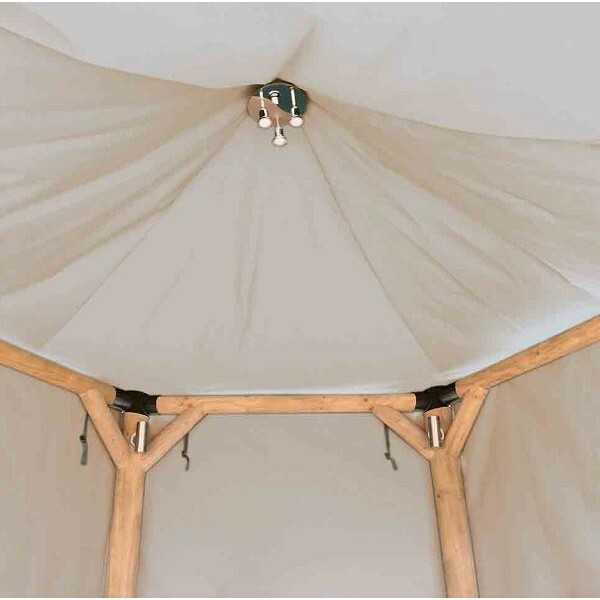 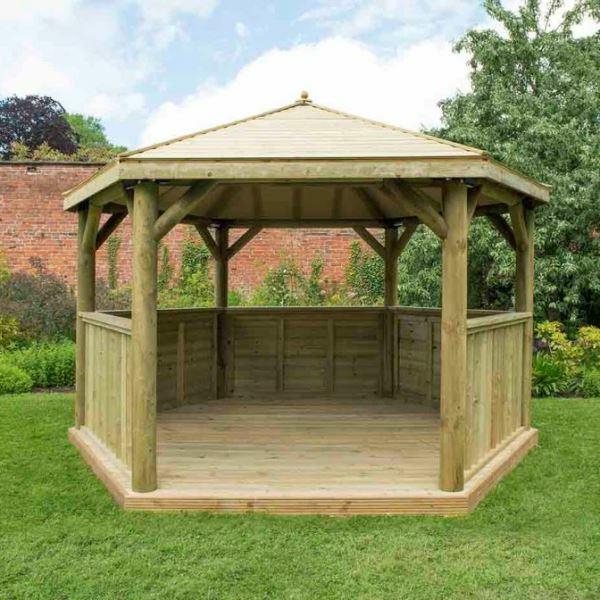 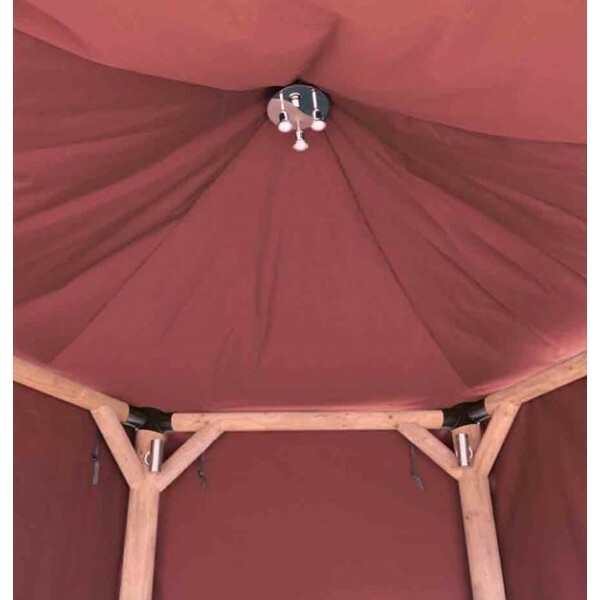 All of the timber is covered by a 15 year manufacturers anti-rot guarantee and for ease, each gazebo comes complete with home delivery and installation on site.